Today, Urban Armor Gear has released its rugged feather-light case for the Surface Laptop. You can order this case right now to protect your Surface Laptop from any accidents. 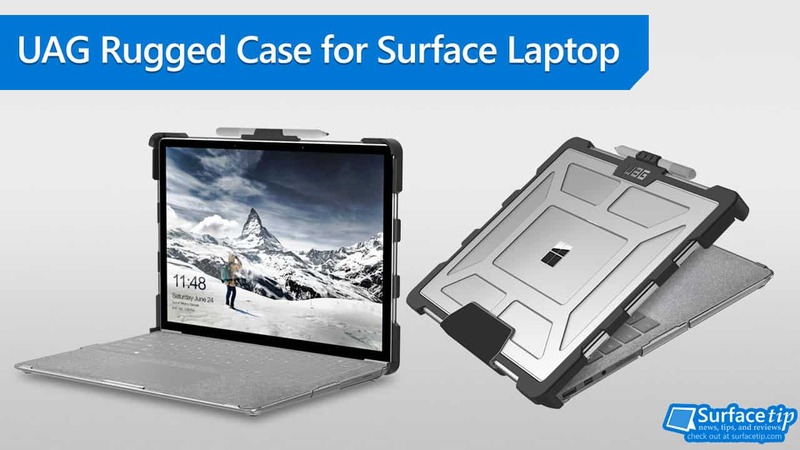 The rugged case from Urban Amor Gear has been our favorite case for our Surface Pro and Surface Book so far. Today, UAG rugged case for Surface Laptop appears on the UAG website. The case for Surface Laptop has all features you found on other Surface devices. This case is not yet available on Amazon store yet. However, you can order the UAG rugged case from UAG website directly for $79.95. We appreciate hearing your thoughts, questions, and ideas about “You are now can protect your Surface Laptop with the most rugged and lightweight case from UAG”. Please post respectful comments and on topic. We will be replying back to you as soon as possible. Share your idea about "You are now can protect your Surface Laptop with the most rugged and lightweight case from UAG".